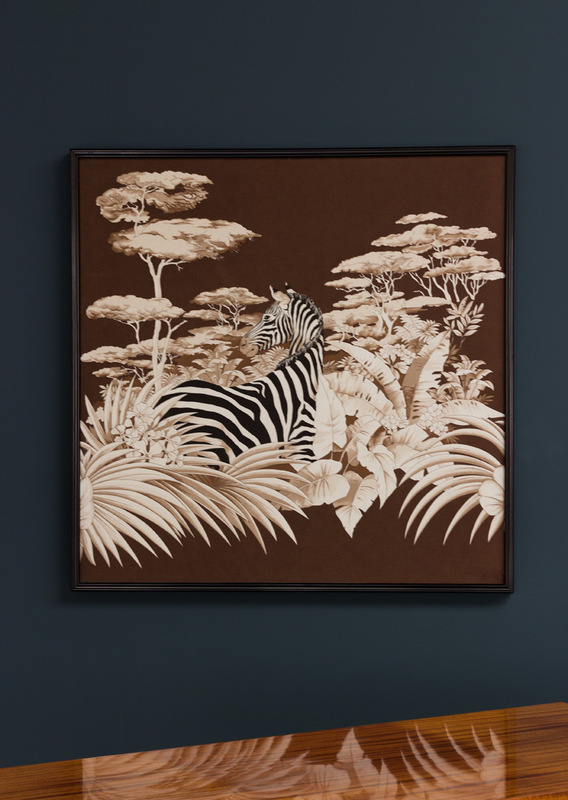 Zebra print on fabric framed with brown aluminum frame circa 1980. 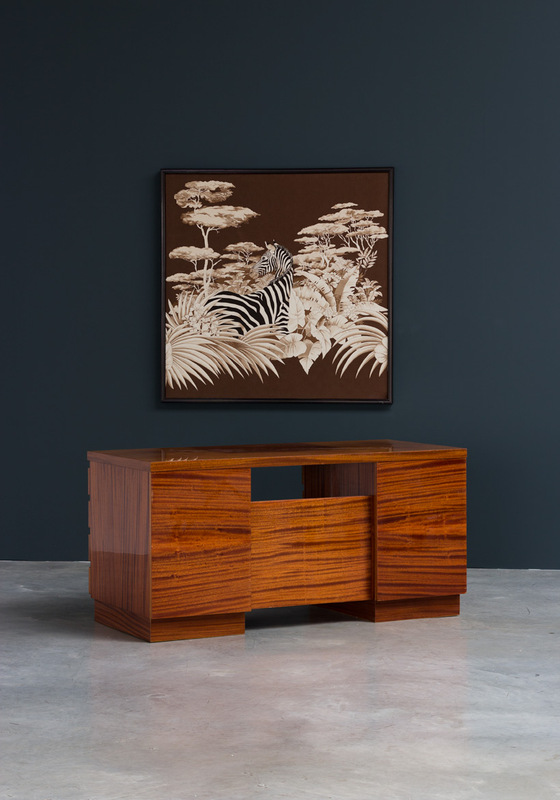 Modern decorative African Wild life. 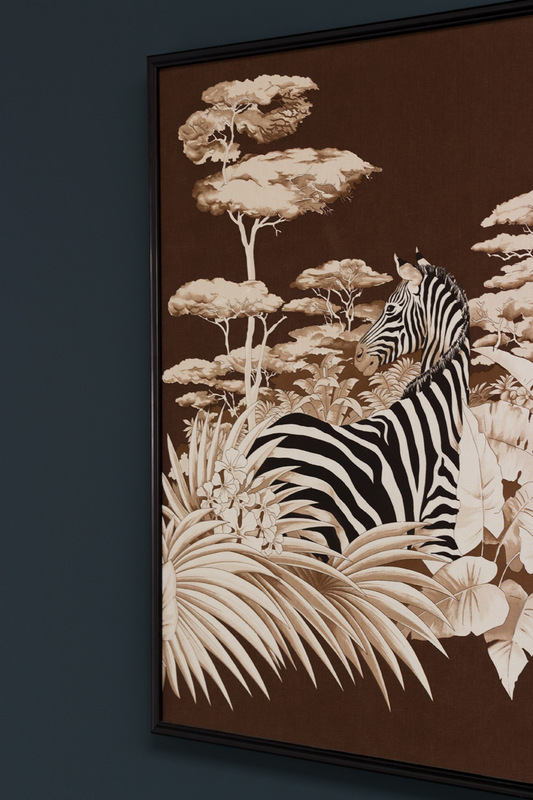 Zébra sur toile encadrée avec cadre en aluminium brun environ 1980. African nature.